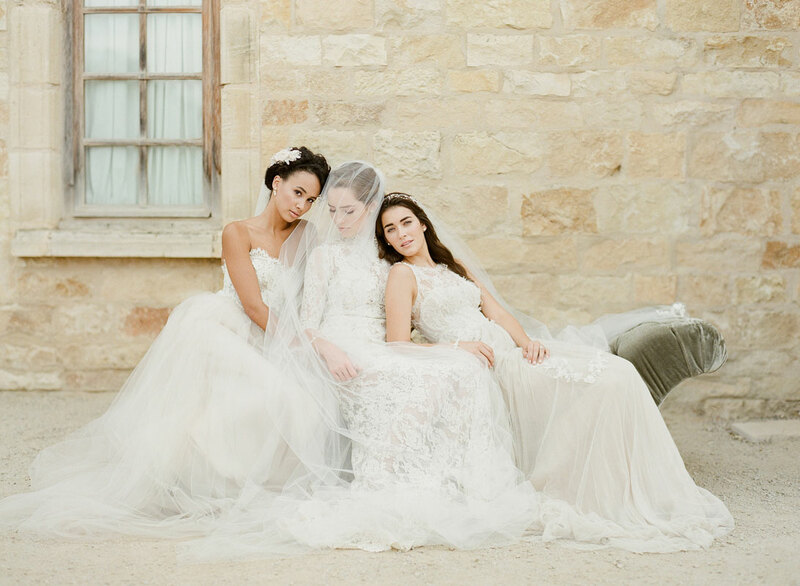 Yes, a bridal gown should be all of these things—but what about your veil? 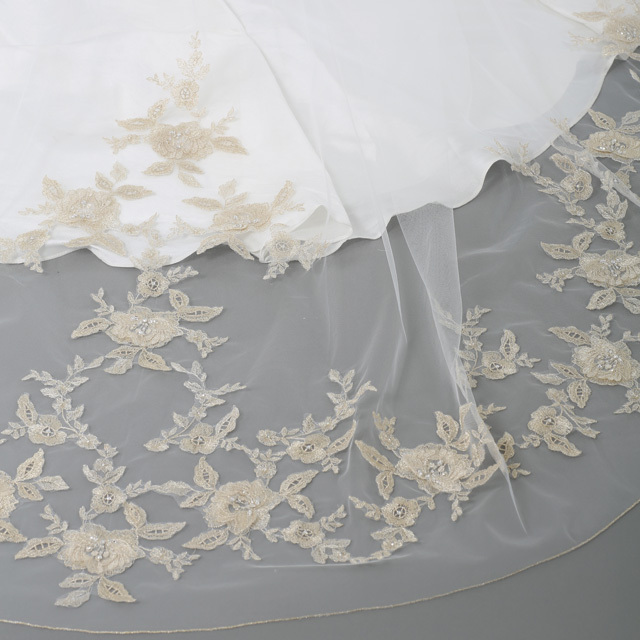 Your veil is the finishing touch of your bridal wardrobe. Think of it as the chocolate on your ice cream sundae—it makes everything else so much better! It’s tempting to pick the first style you try on. 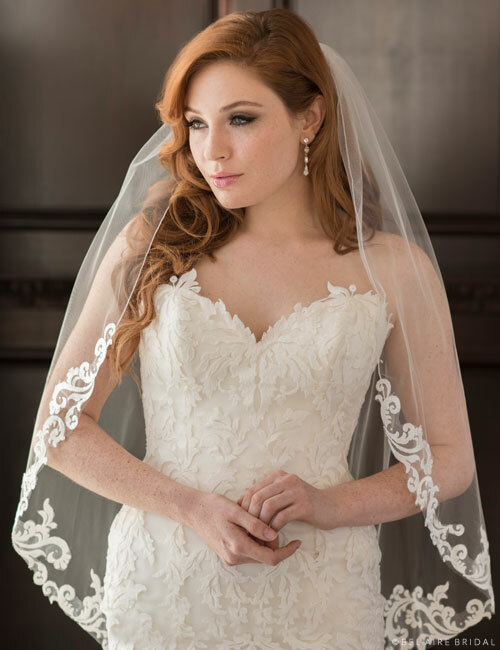 Just as with gowns, there are actually about a thousand veil options, with different lengths, styles, and materials. Follow these five easy steps to discover a design that is right for you! 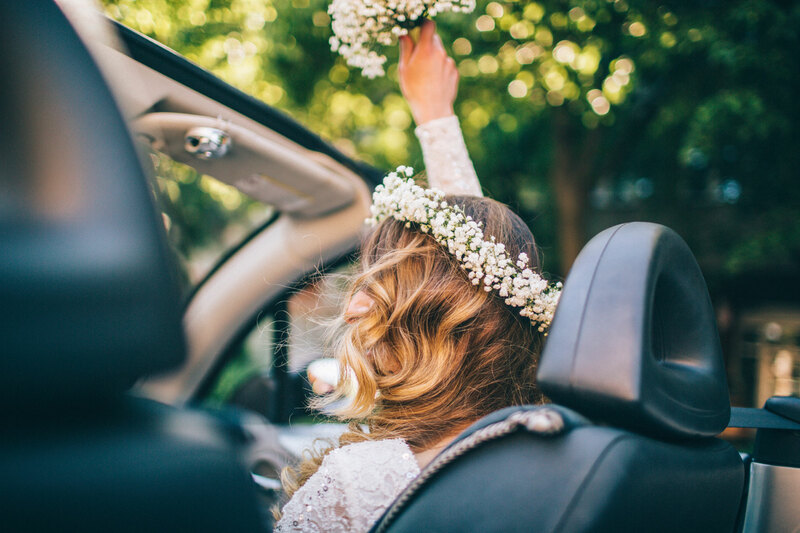 First, your whole bridal wardrobe should vibe with your personal style. Figure out if you want a vintage-inspired look, a traditional outfit, a glamorous wardrobe, or an extra-trendy ensemble. 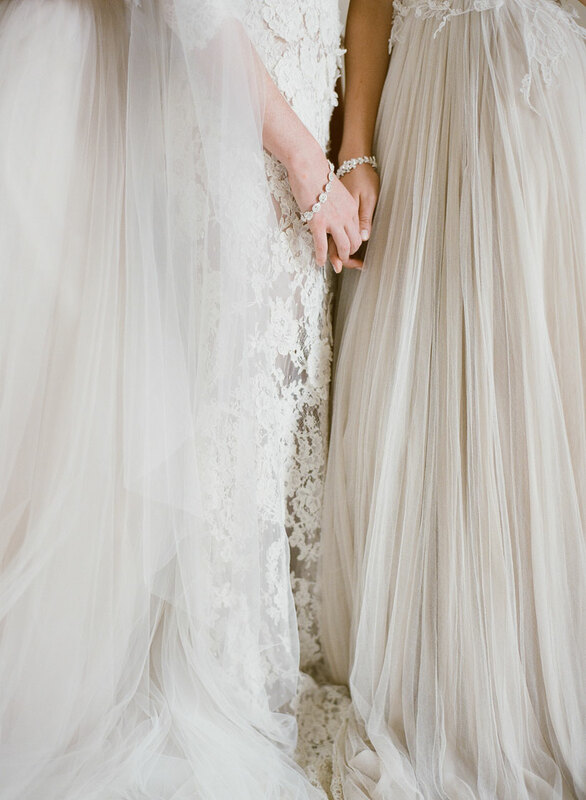 Match your gown and veil to that theme. 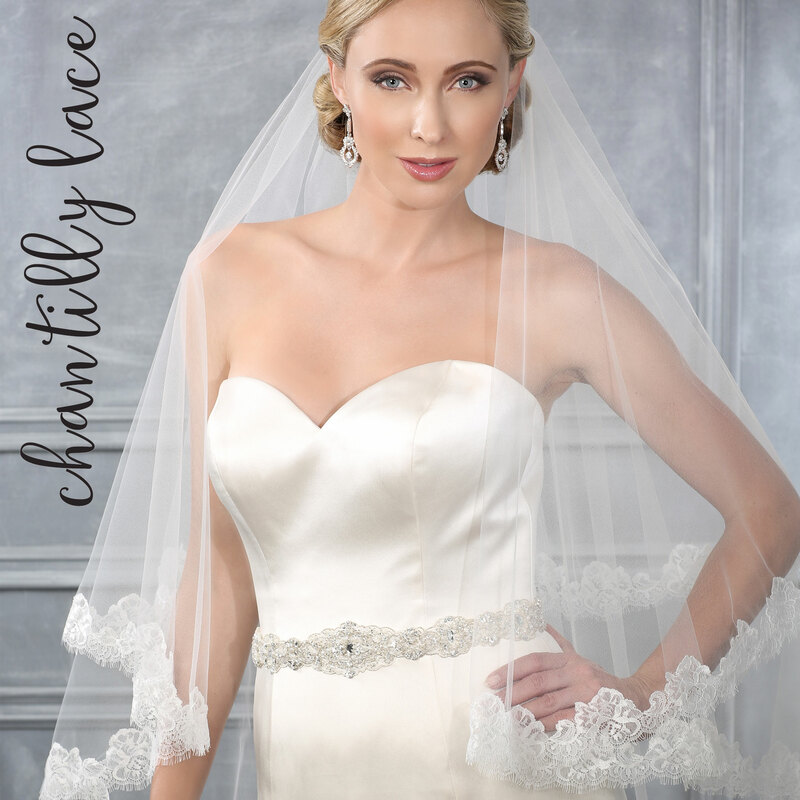 If you’re laid-back, a full-on lace cathedral veil might not feel right to you. 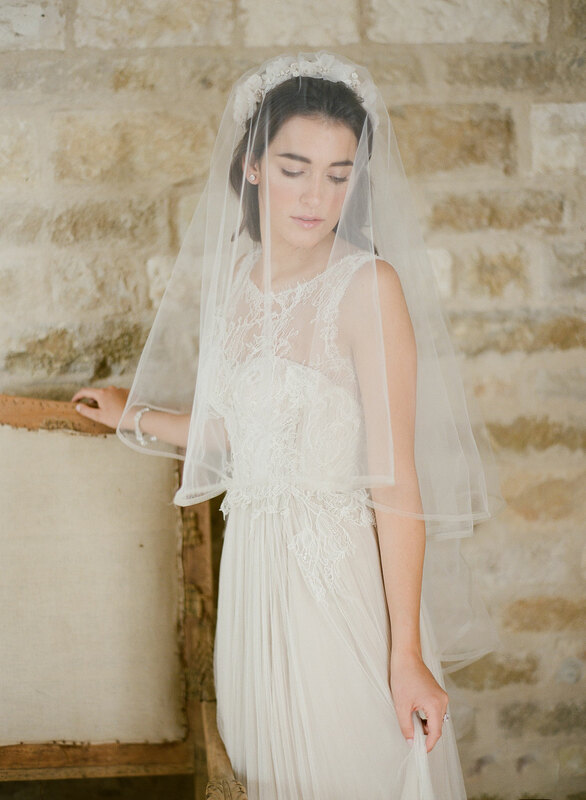 If you’re styling a retro look, you might be charmed by a short veil. Romantics tend to love lace. On the other hand, some brides like going the opposite way. Tomboys can wind up loving completely feminine styles, and girls who normally lay on the bling might keep things simple and sweet. 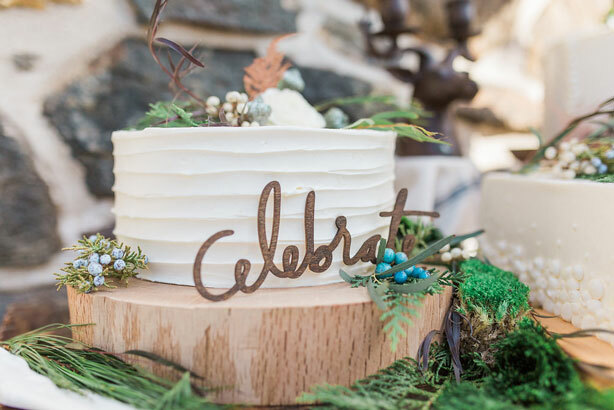 Your wedding is a special day and it’s totally acceptable to explore different themes! If you’re wearing a formal gown, get a long veil. 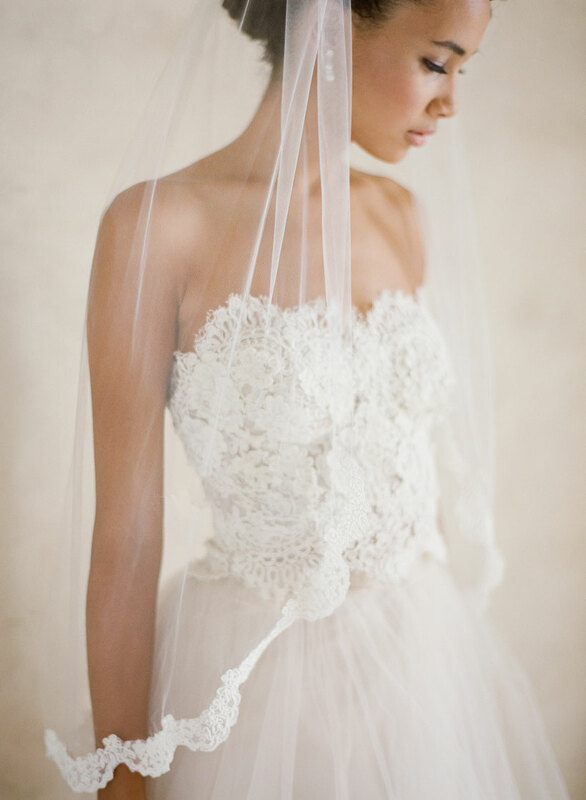 If you’re wearing a short or casual dress, pick a short veil. There are also a variety of in-between lengths you can try. 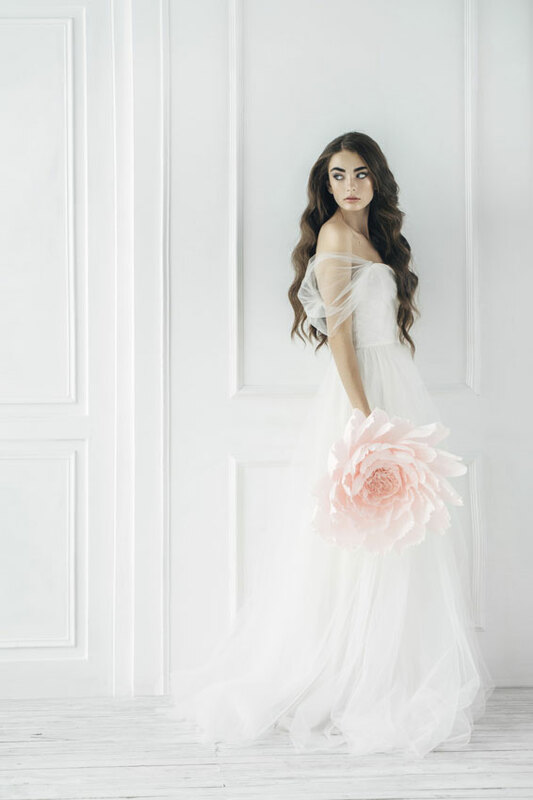 Long veils can be cathedral length (108”), chapel length (90”), or floor length (68”). This typically will match or exceed the train of your gown. Short veils hit above your waist. Common lengths include a birdcage veil or net just (covers your face), shoulder length (26”), and elbow length (32”). These veils pair well with tea or knee length dresses and/or full skirts. 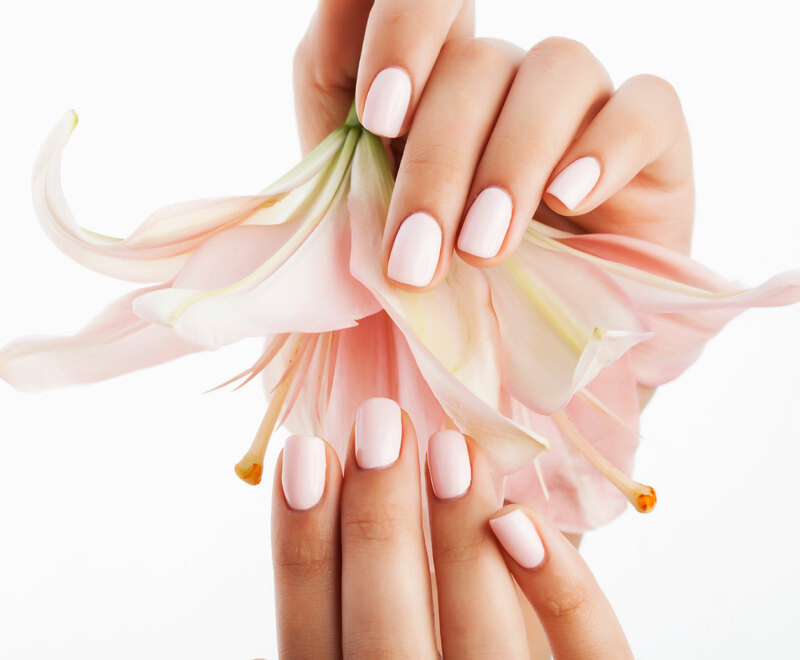 If you’re not sure on length, start long and work your way shorter. 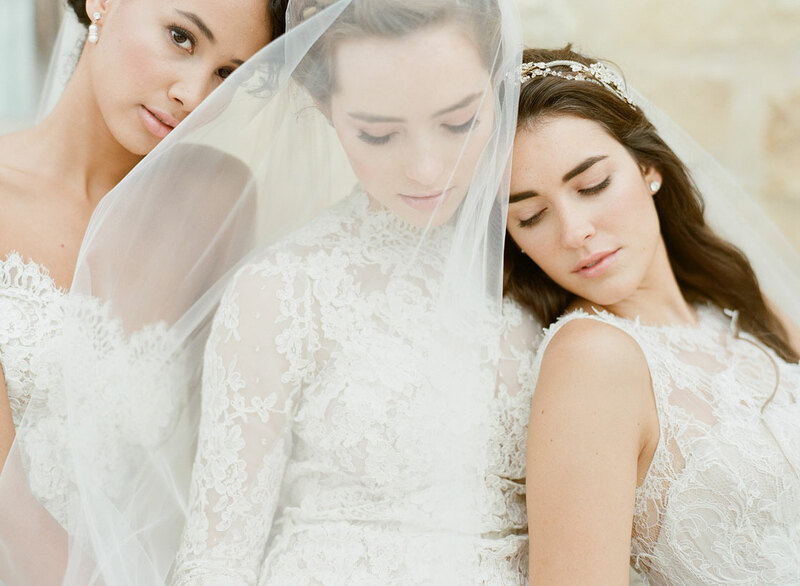 Cathedral veils are easily the most romantic, while short blushers tend to be flirty and fun. Fingertip length (38”) and waltz length (54”) are probably the most figure-flattering as they elongate your torso. 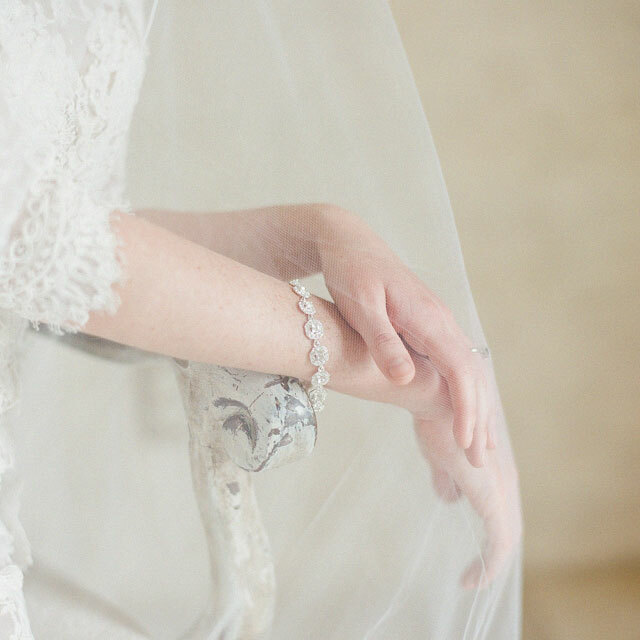 Few brides pick a veil before they’ve chosen a gown. 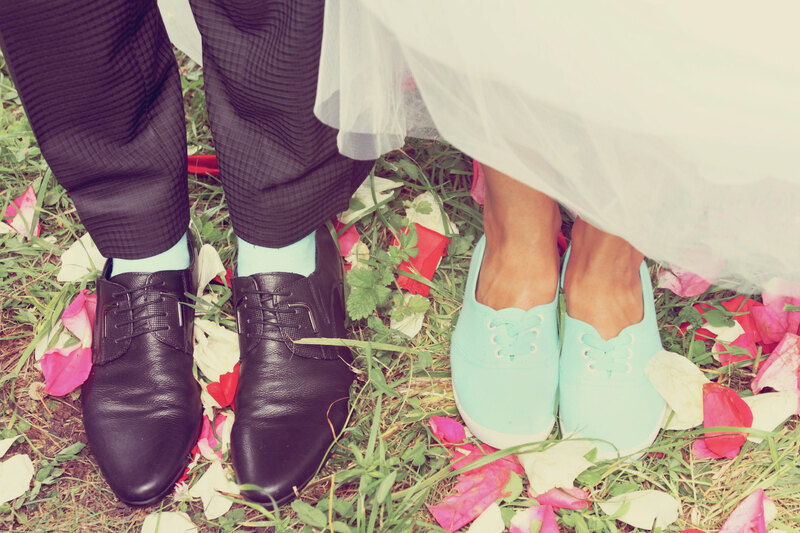 The key here (and it’s pretty easy) is to match or complement your gown. 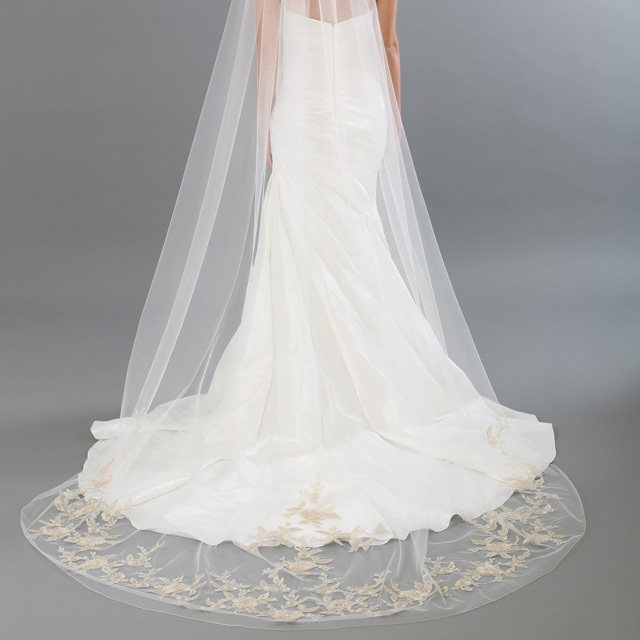 So if your gown has beading, pair it with a beaded veil. 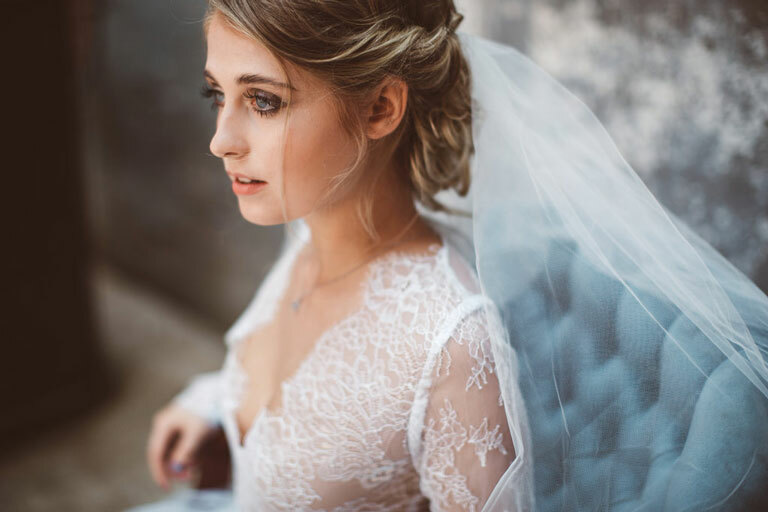 If your dress has lace, you can choose a lace-trimmed veil. Simple, right? An alternate strategy is to focus on your overall style. 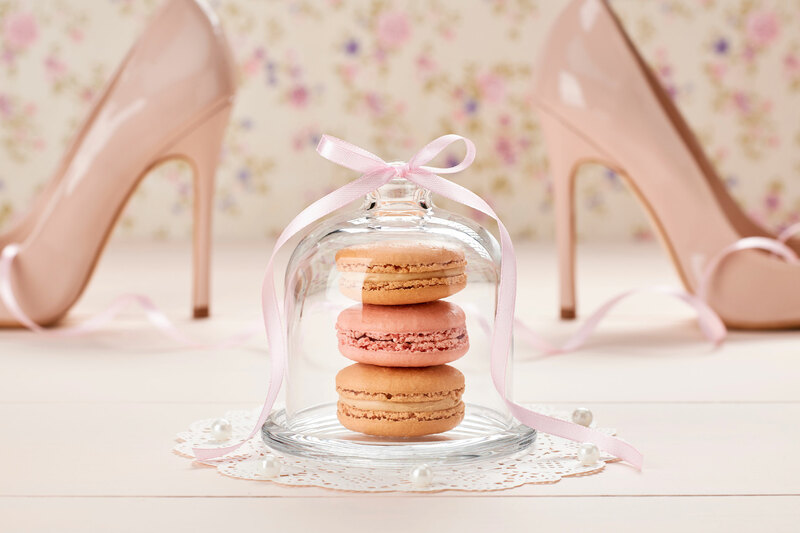 A satin ribbon edge gives your outfit classic, traditional elegance. A simple rolled or cut edge is more minimalist. Embroidery gives you a rich, luxurious look. Try on a few designs to see what looks good with your gown. The number of layers on the veil just depends on how you are wearing it. 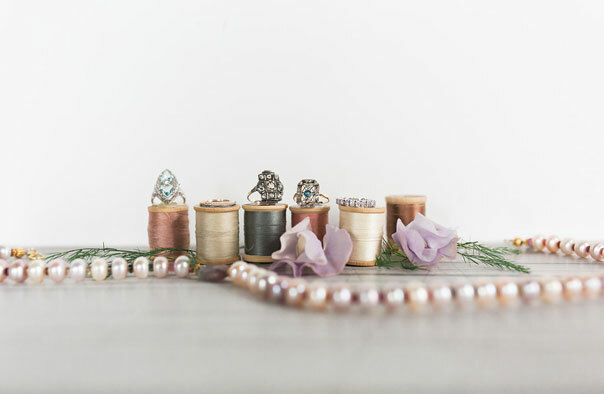 These tiers can add lovely shape and volume to your silhouette. 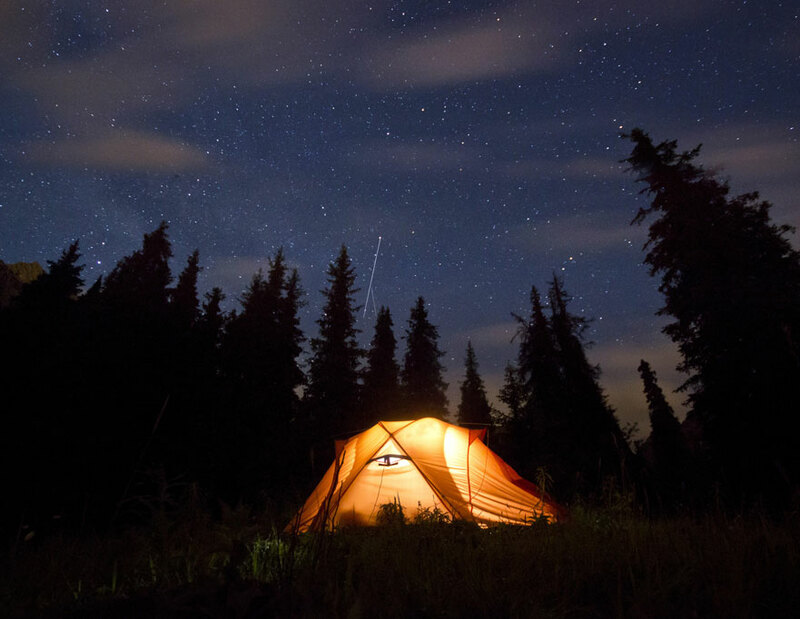 Want the veil to drift behind you? Are you interested in a sleek, modern look? = 1 tier. Do you want over-the-top drama? Are you flaunting a dramatic skirt, or do you need more volume to balance out your silhouette? = 3+ tiers. 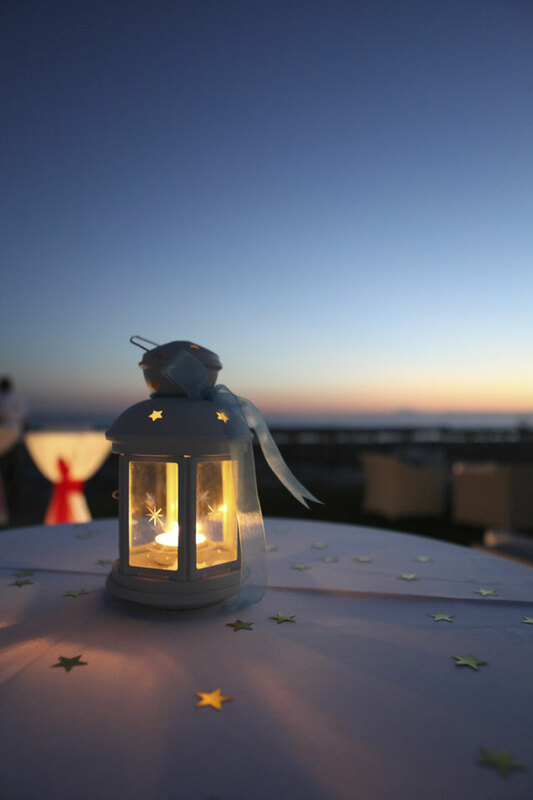 Just as you might pair wine with dinner, what you wear with your veil can completely change its style. This is where your other accessories come in! 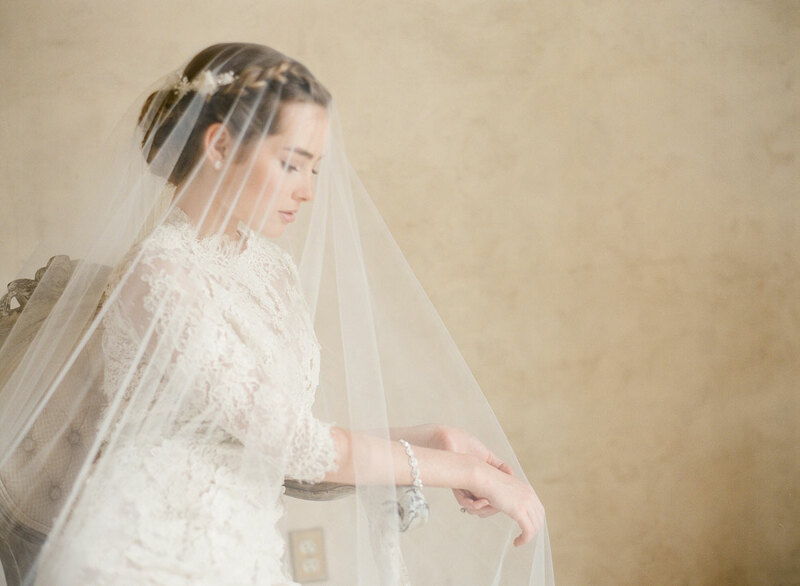 A drop veil paired with a shimmering halo, for example, looks beautifully boho-chic. 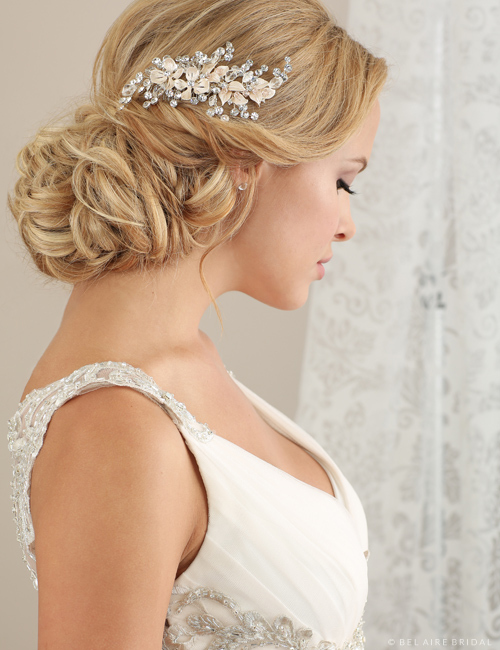 A stunning rhinestone fascinator with a face veil gives a striking, vintage-inspired impression. 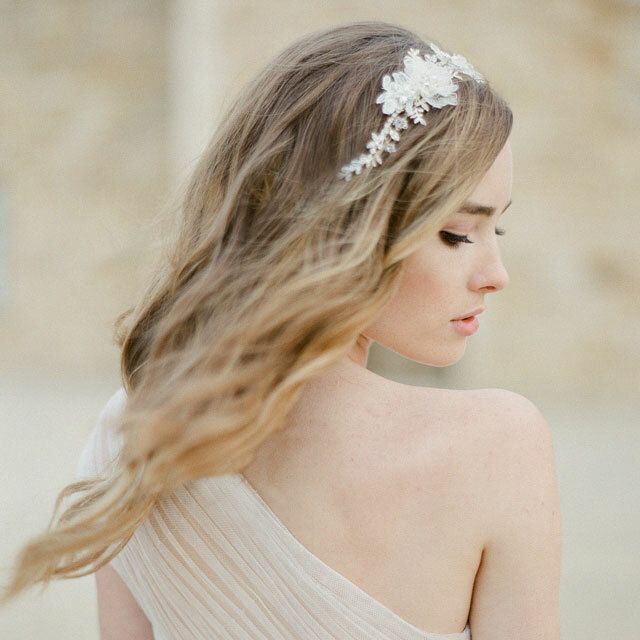 A long lace cathedral veil with a flower comb tucked underneath appears sweetly romantic. 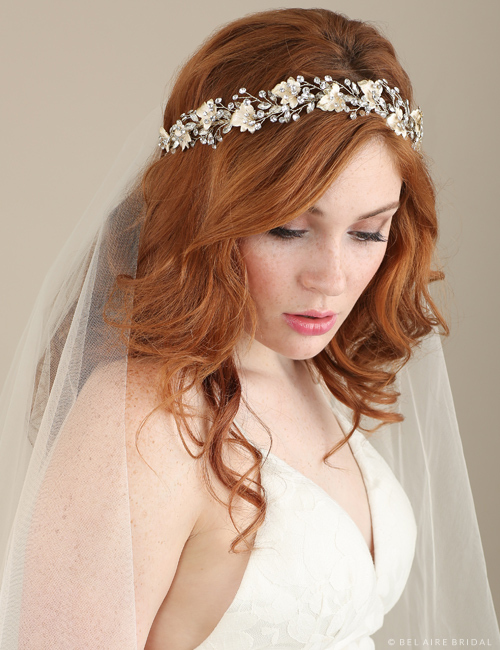 Your jewelry and/or headpiece should complement your veil, and vice-versa. 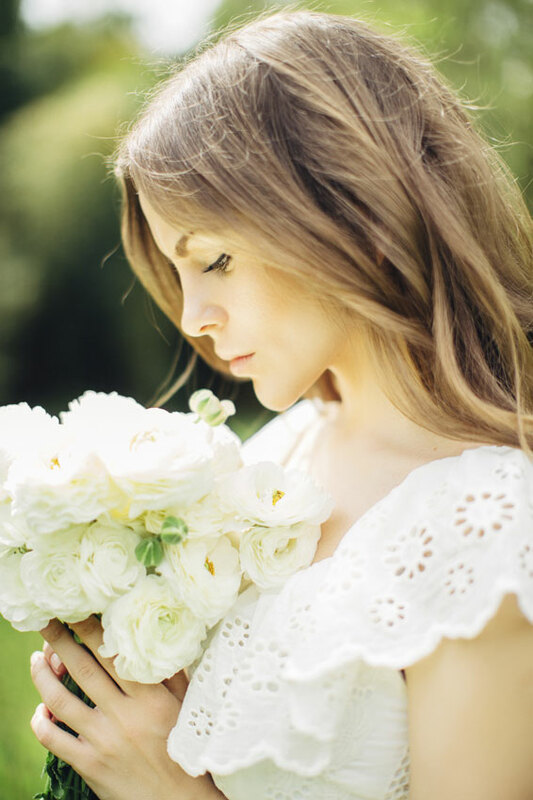 Get on Pinterest or browse bridal blogs to choose the overall style you want to achieve. 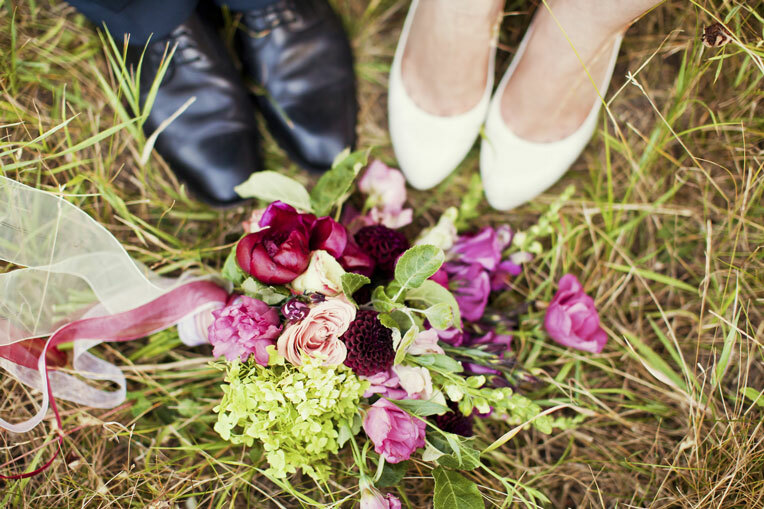 Keep in mind that you can wear your accessories together or one at a time for different ceremony and reception looks. And that’s it! 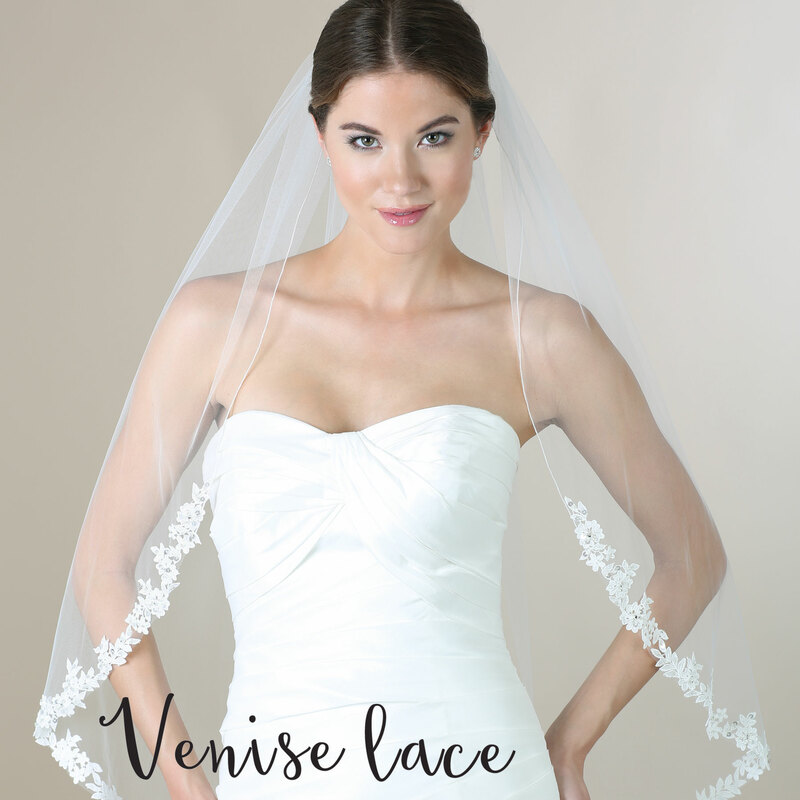 Now you’re ready to choose the perfect veil for your big day. Try on a few before you make a final decision, and have fun! Remember that no matter what, you’re going to look beautiful. Need inspiration? 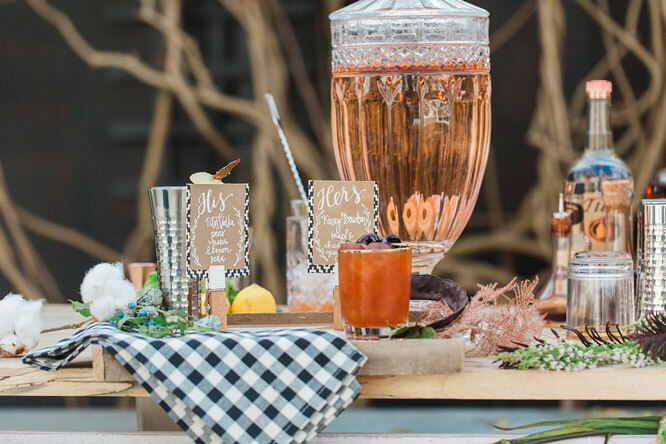 Follow us on Instagram and browse our Pinterest pages to get you started! 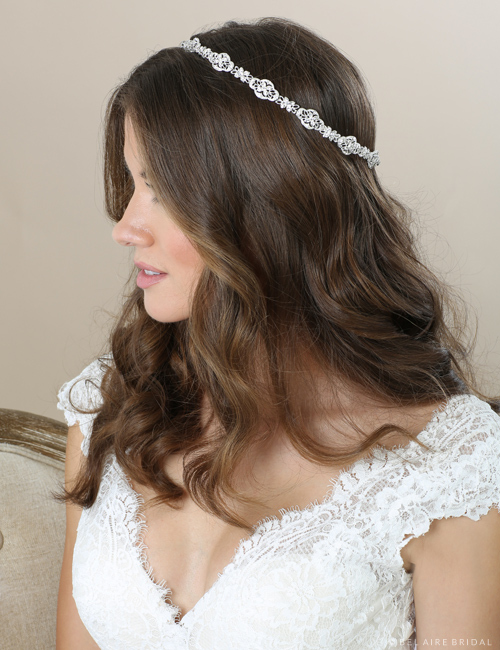 We are so excited to release our Fall 2016 collection of gorgeous bridal headpieces, belts, jewelry, and veils! Topping off this season’s pretty treasure trove are some truly incredible veils that flawlessly complement the hottest designer gowns. Which one is for you? 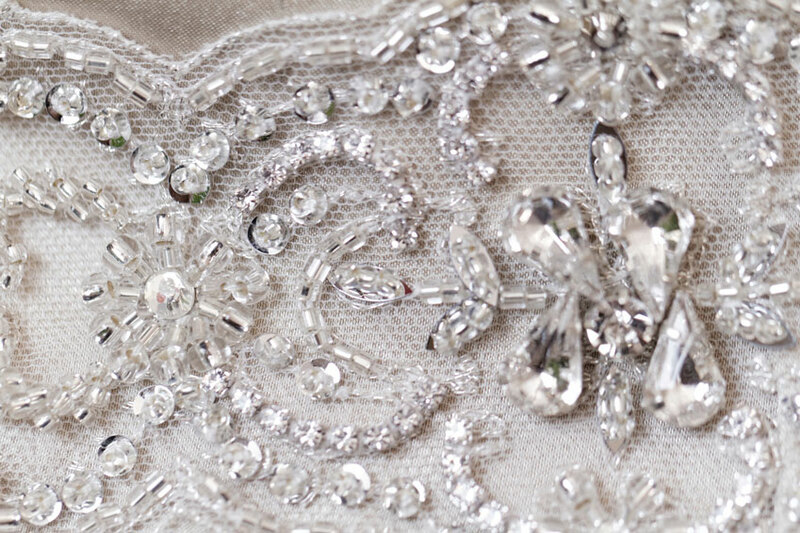 Your look is formal, elegant, bold, and timeless—with a bit of luxurious sparkle! 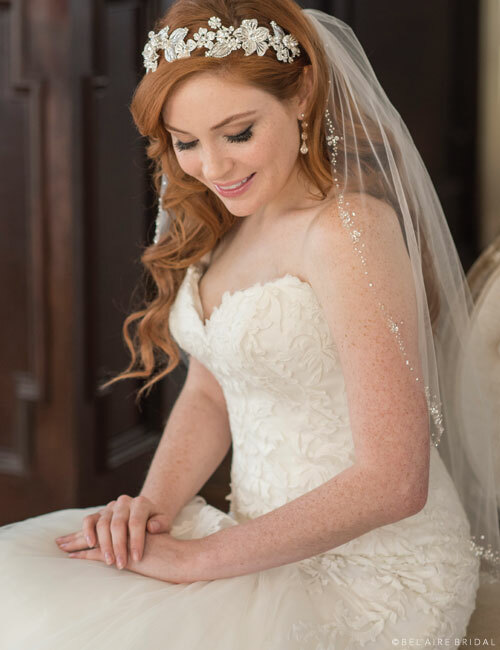 Style V7352 is a flattering 1-tier fingertip silver rolled edge veil featuring twinkling Swarovski rhinestones. 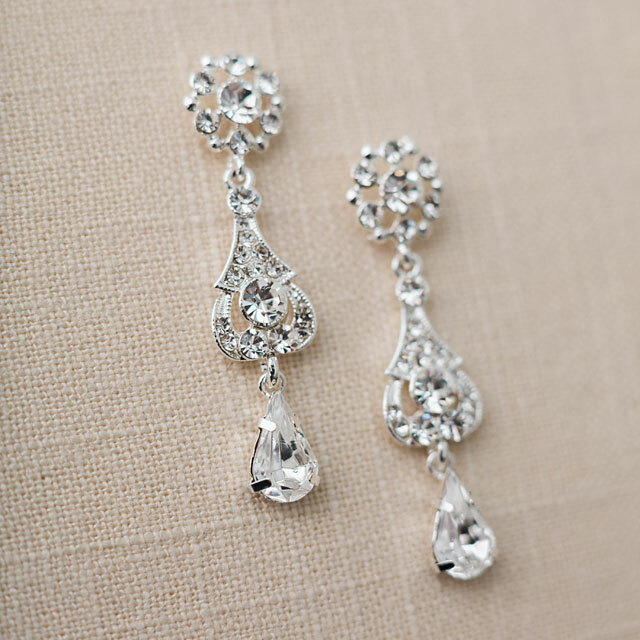 You deserve the best, most beautiful bling for your big day! Pair this lovely design with stunning earrings, an eye-catching belt, and fabulous shoes. 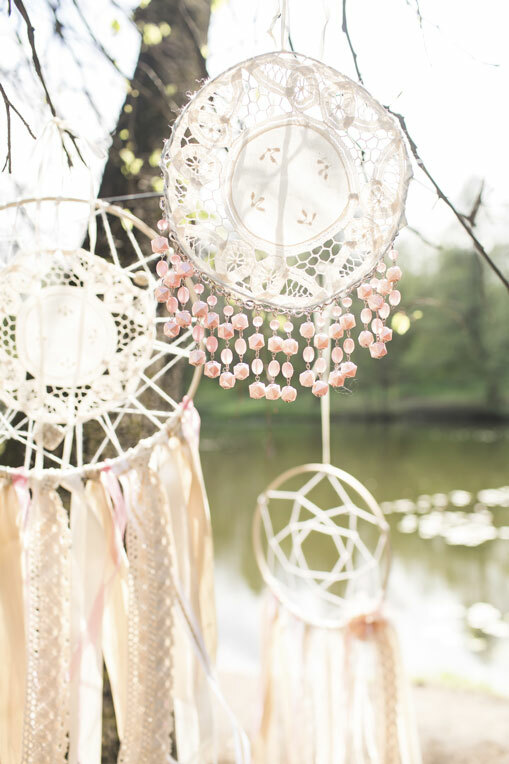 You want your wedding to feel absolutely magical. 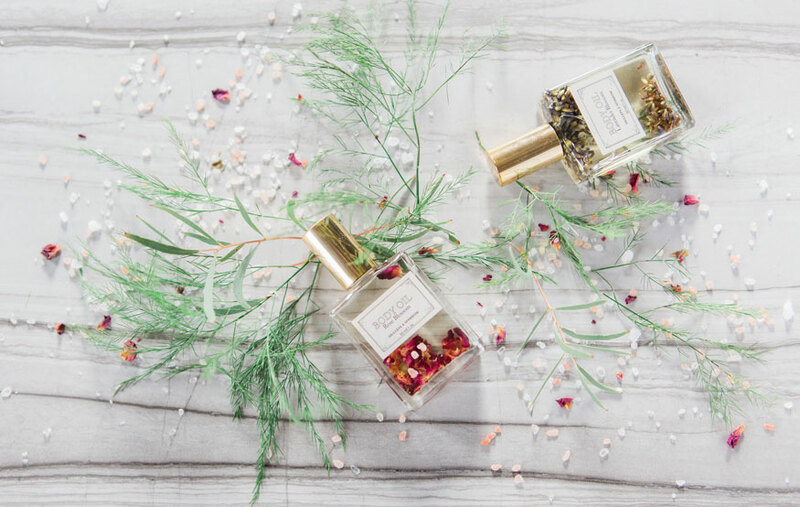 Your look is graceful and feminine with a touch of vintage-inspired, straight-from-a-storybook flair that makes you stand out from the crowd. Style V7357 features a light rolled edge and Baroque lace swirling along the curve. 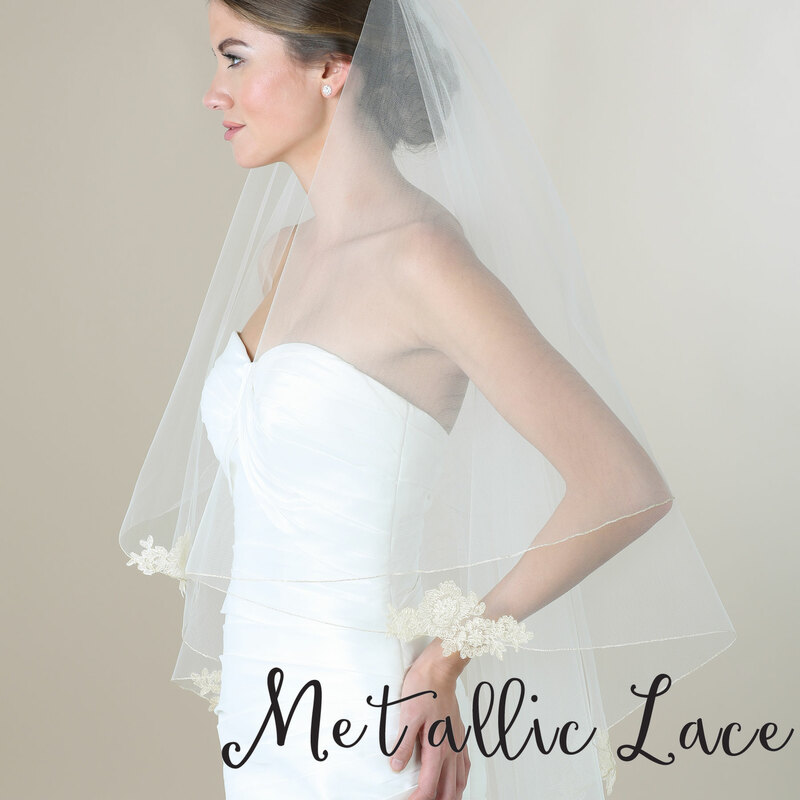 Dotted with tiny rhinestones, this unique veil adds that bit of timeless beauty to your look. 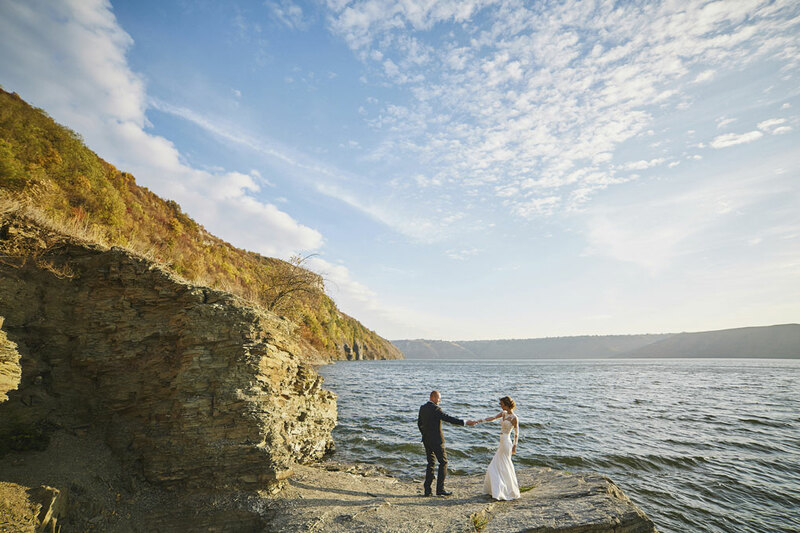 You’ve been dreaming of getting engaged and choosing the most gorgeous wedding gown since you were little—or at least since you found The One. 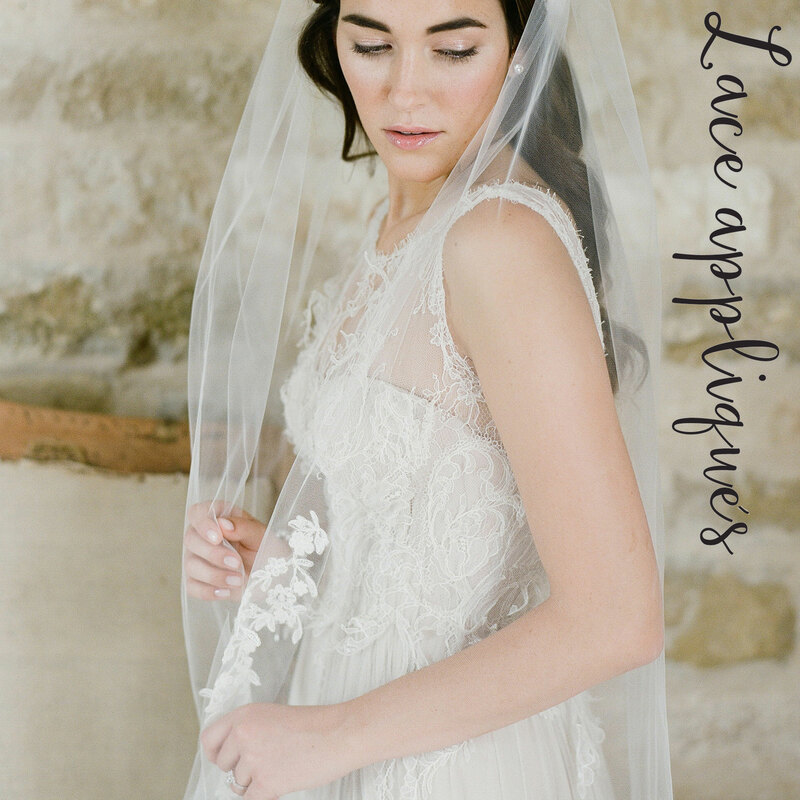 Complete your vision with an utterly perfect lace veil! 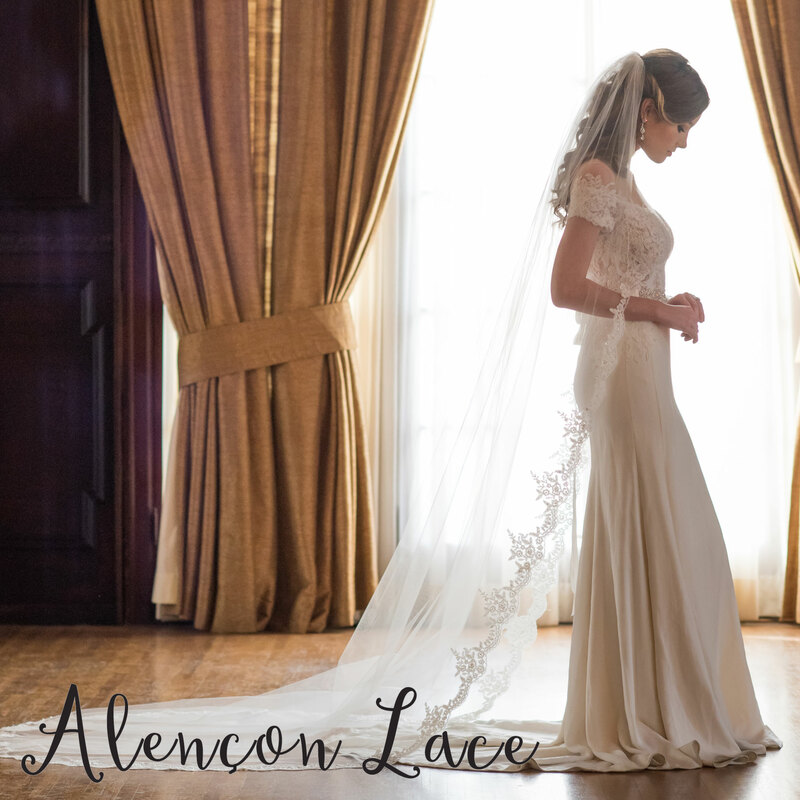 Style V7369 is a 1-tier knee length veil with rolled edge and elegant floral lace twinkling with tiny rhinestones. 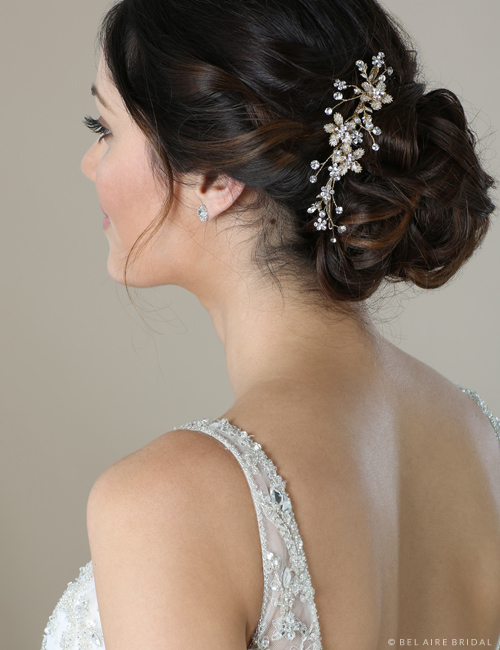 This romantic, graceful style is beautifully complemented by a floral hair comb or clip. You enjoy laid-back fashions and bohemian pieces that speak to your personality. Style V7371 accentuates your figure with a graceful, slender ribbon edge on a cascading veil with pointed corners and a pointed back. This simple design lets your natural beauty shine through and focuses the attention on your statement jewelry and dress. You are up on the latest trends and know what is hot. 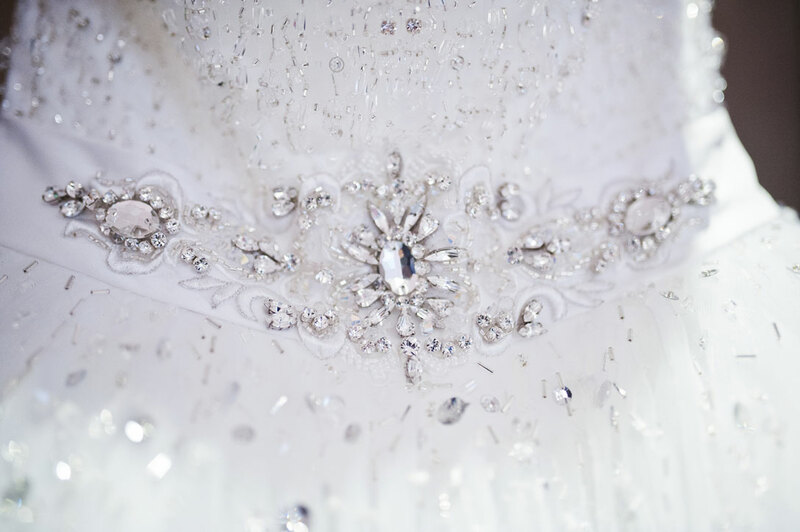 Your bridal outfit will be fantastic, of course, and you’ll need several accessories to go with your gown changes. Style V7374 is great as a ceremony or reception veil: this 1-tier fingertip style features a cut edge with a line of silver beads and clusters of opal and clear crystals. 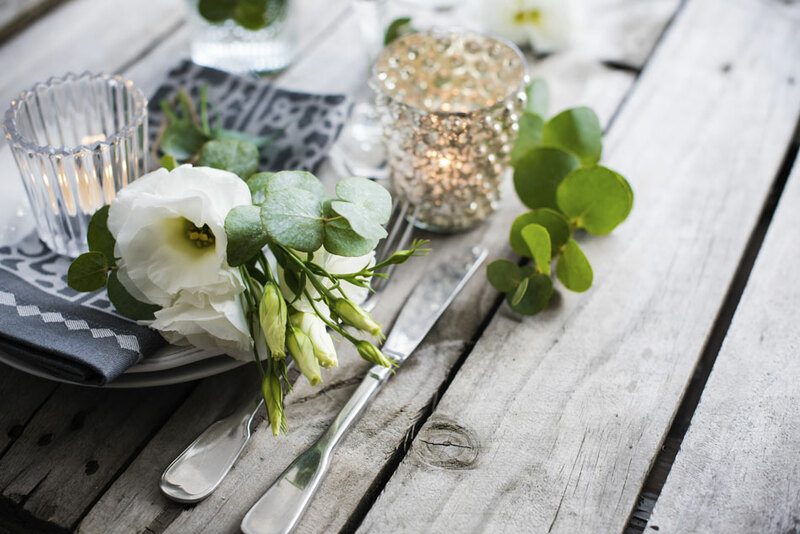 Match this design with opal or rhinestone jewelry, and be sure to pick out a headpiece or two to make your wedding weekend extra-special. Want to see more? 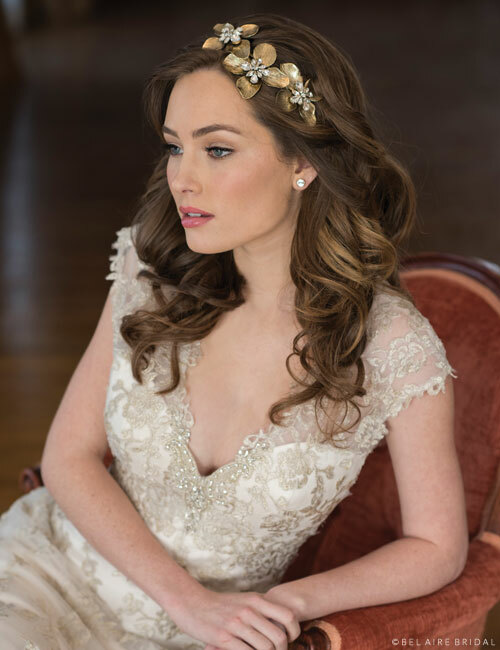 Check out our Fall 2016 Collection of headpieces and new veils to find the perfect accessories for your big day.